Way back before Nokia was acquired by Microsoft, Nokia held a legacy for a long time, especially for the build they made for the feature phones, smartphones and anything they made. From the Nokia 1110, which was a starting point to many of us to the glossy Lumia and Asha range, Nokia never disappointed and all their releases were a major hit in their markets. Microsoft then acquired the company last year and the good thing is, they aren’t trying to change what Nokia was famous for. The release of the Microsoft Lumia 532 Dual Sim device targeting the low-end market in Kenya, in January marked a new beginning for the feature phone users who wish to shift from feature phones to smartphones but are not willing or able to spend large amounts of money for the switch. The launch of the Lumia 532 in the Kenyan Market came in at a time when new entrants in the mobile market like Wiko and Obi mobiles were also eyeing the space creating a more competitive market. Last year Smartphones made up to 67 per cent of devices sold by Safaricom in 2013, with 100,000 new devices being purchased every month. A few months later after the launch TechtrendsKE, has decided to have a look at the Nokia 532, and here is what we got for you. 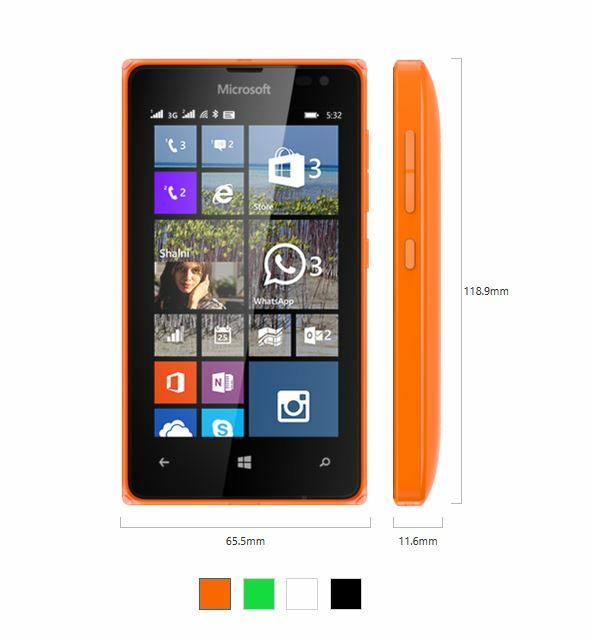 The Microsoft Lumia 532 dual sim comes with a 4 inch LCD screen which might be a little small for a lot of people now. It also uses the LCD transmissive Display technology. The word ‘Microsoft’ comes written on the front part at the top and on the back of the 532 replacing the Nokia brand we were used to. At the back the word is also accompanied with a small MS logo. Lumia 532 borrows the dual shot design from the Nokia Asha series (and Lumia 620). The screen resolution is an average 800 x 480 with 233 PPI, and the viewing angles aren’t that great. Tilting the phone, especially when you are playing a game or watching a game, changes the colors noticeably. It also supports a double tap to wake it up and is finger magnetic. The wake up button is located at the botton of the screen and has the MS logo. The Exchangeable back cover was worth noting, one can always swap it for a fresh one when it starts to look a little battered. Or simply change it for a different colour if you want it to match that day’s outfit. And as far as buttons go – we found them to be pleasant to the touch – both the power button and volume rockers are placed on the right side, clicky when pressed. The buttons come along with the 3.5mm headphone jack and micro-USB port for charging and data transfer. The 532 comes with a one-piece plastic rear shell available in a range of vibrant colours, including black, white, green and orange. It has a cheery, fun design that stands out. I liked the way the back shell fits around on all sides, ready to take the impact of a fall – plus the inevitable absorption of momentum by popping off – it’s in the design! The front glass is likewise protected by a hard plastic ridge around its edges these however does not affect how one swipes but will protect the screen against most drops, even onto its face. The screen is also quit sensitive and and is multitouch. The edges are curvy giving it quite a phenomenal and sleek look and feel. The fact that it is a 4’’ it fits quite perfectly in most hands, making it user friendly. Other user interface features include Glance screen, Tactile feedback, Vibrating alerts, Word flow keyboard. The phone operates under Windows Phone 8.1 along with the latest software update, codenamed Denim. Windows Phone 8 is easy on the eye, made up lots of large, bright tiles that show live information. You can resize these tiles and reorder them to suit your preferences, set different backgrounds and group tiles together into folders, thanks to the Denim software update. Another recent feature is the notification panel that you pull down from the top of the screen, like in Android. It shows incoming notifications from your messaging apps or emails, as well as giving quick access to critical settings such as Wi-Fi and screen brightness. The Denim update also includes Microsoft’s Cortana alpha. Cortana Alpha is always ready to help you with everyday tasks. She keeps track of your appointments and actively sends you reminders so you can focus on being productive. Want to remember to ask someone something? Just tell Cortana alpha and she will remind you the next time you speak to them. Lumia 532 comes with a 5 MegaPixels main camera with a minimum focus of 6ocm, the photos taken are quite clear, though if you are a safari person, one cold reconsider another Lumia device but for that instant photo for Instagram, facebook or twitter this could be a perfect choice. The front facing camera is only 0.3 Megapixels, not ideal for clear photos. Under the camera: the phone comes per-installed with other features including Creative Studio a mobile image editing application for enhancing, adjusting and fixing your mobile images. 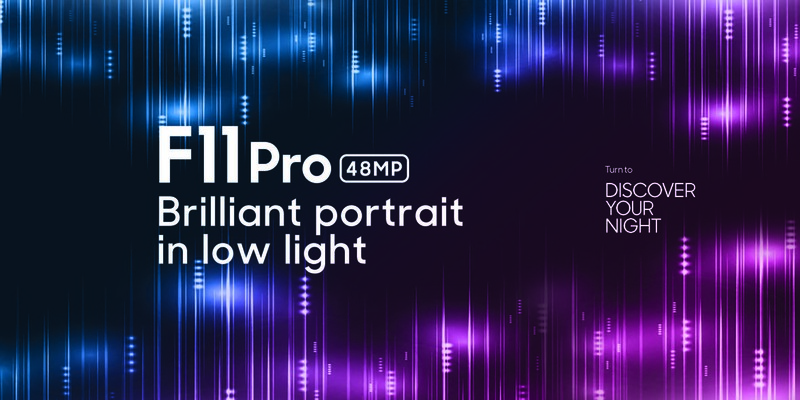 It is primarily intended for editing the images captured with the phone camera. It currently supports only jpeg images. It also comes with a story teller feature which automatically groups all your photos and videos into individual events called stories. In your timeline you can browse and modify your stories, then view and share them with friends as story videos or interactive web pages. You can also sort your photos and videos by location, add captions and create a list of favourites, and when you’re looking at a photo you can see where you took it on a map by zooming out. It also comes with Lumia Camera Lumia which is the optimal camera app for your Lumia device. The app adds motion to living images to bring your photos to life in your camera roll and Lumia Storyteller. Any photos and videos you shoot in Lumia Cinemagraph and Lumia Refocus also appear as Living Images, playing as you browse through them in the camera roll. Use auto mode when you want to simply point and shoot, or switch to full manual control to create the perfect composition. For action photography, smart sequence is a great way to quickly shoot and combine a series of photos. Did I mention the Lumia Selfie app that comes pre-installed? That also stood out for me. The main camera video resolution is at FWVGA (848 x 480). I must say that the videos taken using the device are quite clear and the audio was also a plus. Have a look at the video below I took in a recent field trip to Amboseli National Park with a group of students from Princeton and Collumbia University in the United States. However, the fact that I couldn’t zoom my subject to get a closer look was another issue. The Video recording formats are in MP4/H.264. The Lumia 532 has a Front camera video resolution which stands at 480p (VGA, 640 x 480), thus enhancing a fully-integrated Skype experience. Upgrade a regular phone call to a Skype video call, receive Skype calls anytime, and call Skype contacts directly from the contacts list. Video chat with the people you love. Nokia 532 also comes pre-installed with WhatsApp, Instagram, and Facebook are ready to go. Need more space for apps? Add up to 128 GB of extra storage and the quad-core Snapdragon processor will play your apps and games directly from the SD card. Lumia 532 comes with a mass memory of 8 GB and RAM of up to 1 GB. It also comes with a MicroSD memory slot of a maximum memory card size of 128 GB. Free cloud storage up to 30 GB. Other user data storage include in device, Memory card, OneDrive cloud storage, App and data storage on memory card. Microsoft Lumia 532 is GPS enabled. It comes pre-installed with HERE Drive, HERE Maps and BING maps. With HERE Drive one can find favourite destinations through free global voice guided turn-by-turn drive navigation. HERE Drive also has the ability to offer live traffic information and offer speed limit warnings and also has free voice-guidance in 88 languages. With HERE Maps one can download accurate, high-quality maps on the phone. It’s a complete mapping app, designed to work even without a data connection so you can rely on it when traveling or out of the home. Find the quickest way around a city with walking, driving, and public transit directions to the places you want to go. Discover what’s good in a new city and save places so you can find them easily with your phone when you’re out and about. HERE Maps is the perfect companion for your smartphone and the best way to plan ahead. The Lumia 532 has a battery capacity of 1560 mAh and a Battery voltage of 3.8 V. What was amazing about the battery life was the fact that after a one off charge, I could stay over a day without charging it, while I still played my music and stayed connected to the Wi-Fi. However the phone tends to heat up faster while you use it for long. Regardless of whether users actually bother to buy a spare battery, there’s the peace of mind that it can be pulled off if something goes wrong, the ease of replacing it in a couple of years when the original cell is worn out, and so on. The phone also comes with a micro-SIM slot which holds the Micro SIM in place with a metal clip. General Security features: Device lock, PIN code, Device lock passcode, Regular signed firmware updates, Track and Protect via internet, Application certification, Application sandboxing, Backup and restore via Internet, Browser integrated anti-phishing, Remote device lock via Internet, Remote device wipe via Internet, Secure boot, Signed OS, Consumer VPN. Enterprise security features: Mobile VPN, Remote lock and wipe, Hardware accelerated device encryption, Mobile device management, Remote security policy enforcement. Design wise, the Microsoft Lumia 532 is lot different and in some sense better than its competitors. The Lumia 532 phone delivers an exceptional Windows Phone experience. However, for gamers, this would be a no device as the screen is a little bit tiny, they could opt for Lumia 535, which has a larger screen.